This Chris Olofson 29 Knives balisong features a 4" Wharncliffe style blade with standard ears. 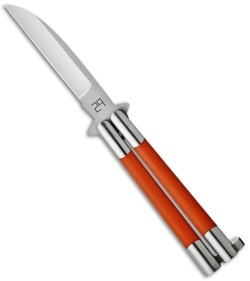 303 stainless steel handle with dovetailed orange G-10 inserts. Outfitted with a batangas t-latch (tight). 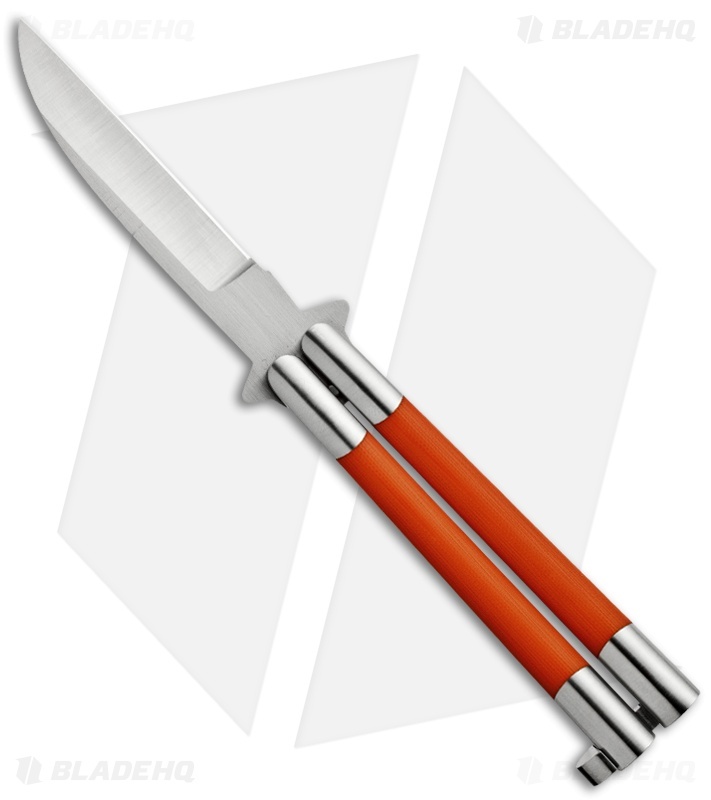 This knife is impressive in size, feel and build.